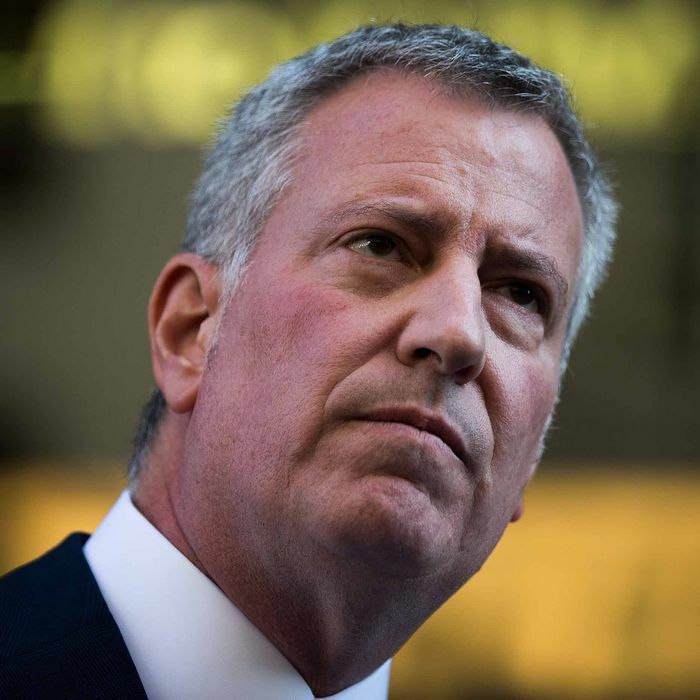 The signature issue of Bill de Blasio’s mayoral campaign, New York City’s vast income gap, has gotten worse under his tenure, according to a new study from the Manhattan Institute. Researchers for the right-leaning think tank found that both household-income inequality and earned-income inequality have “risen modestly” since de Blasio took office in January 2014. Among the report’s key findings is the not-at-all-surprising revelation that the financial sector is the main cause of earned-income inequality. Though its employees only make up 4 percent of the labor force, the local finance industry doles out 19 percent of the city’s wages. The report does not completely bash De Blasio though. It concludes that the mayor’s work on behalf of the city’s poorest residents is why he hasn’t been able to deliver on his promise. “New York’s efforts to help the city’s low-income residents—either directly, through services, or indirectly, through flexible zoning and extensive public transportation—make it easier for them to remain in the city, rather than moving elsewhere,” its author states in his conclusion. Still, the city is as unequal as it’s ever been.